Note:1, eternal flowers maybe occur a small number of petals fragmentation during the transportation process, this is a normal phenomenon, you can use a small scissors to cut the edge of the petals neatly. 2, the eternal flowers are made of natural materials by hands, there may be a little difference, perfectionists please be carefully to buy. Maintenance of way: 1, please no watering and no touching by hand, do not place in the outdoor and under the sun directly. 2, if there is any dust, please blow off the dust gently by the wind blower. If the room is wet, do not expose the flowers to the air for a long time. 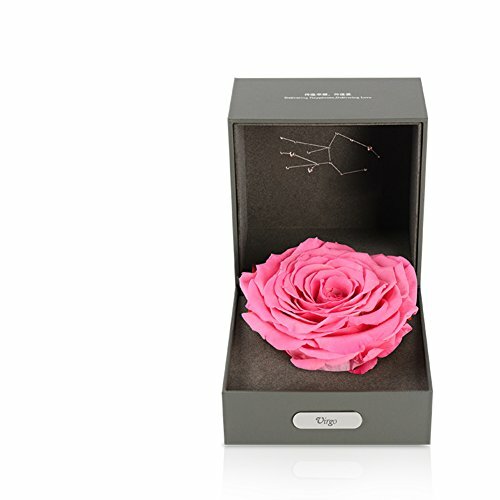 Represents The Romantic Valentine's Day Roses Are, Ideal For Birthday Gifts.never Fading Flowers Means Eternal,Send The Ones You Love, Conveyed The Strong Love! From high quality flowers and chemical raw materials made immortal rose. One of the best in thier through special processing, keep it real flower in soft, fresh and beautiful. No toxic ingredients. If you have any questions about this product by Only rose, contact us by completing and submitting the form below. If you are looking for a specif part number, please include it with your message.